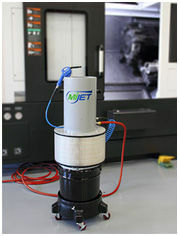 MiJET System - CNC Machine Parts Cleaner | Techna-tool Inc. 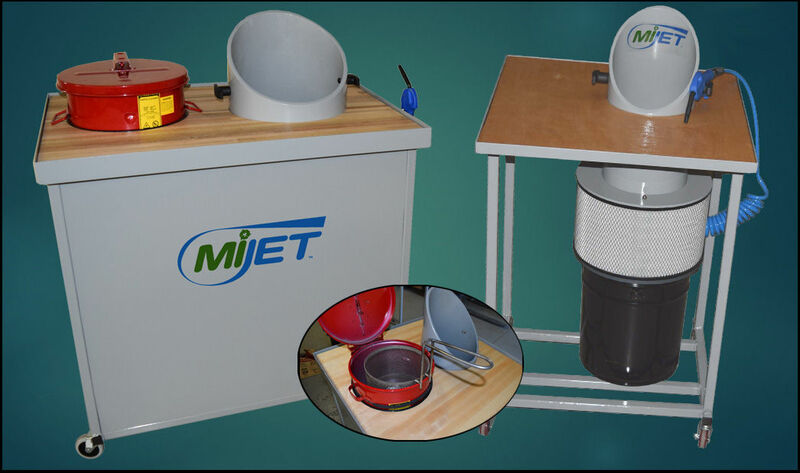 The MiJET stand alone unit, powered by air, is used near CNC machines or inspection stations to clean oily residue and chips from parts, then captures that residue with vacuum into a container for recycling. A specially designed, patent pending valve allows an operator to pull the trigger on an air nozzle which simultaneously actuates both an air jet and suction. The air jet allows localized cleaning of parts, while the suction pulls the atomized fluid particles and chip residue downward into a removable container below. Expensive coolants are captured for recycling.